1 mind-blowing | This Blog Rules | Why go elsewhere? Lego art isn’t anything new – ever since the Lego Group launched the interlocking building blocks all the way back in 1949, budding artists the world over have been presenting their colourful constructions in galleries, on the internet and even out in the open. 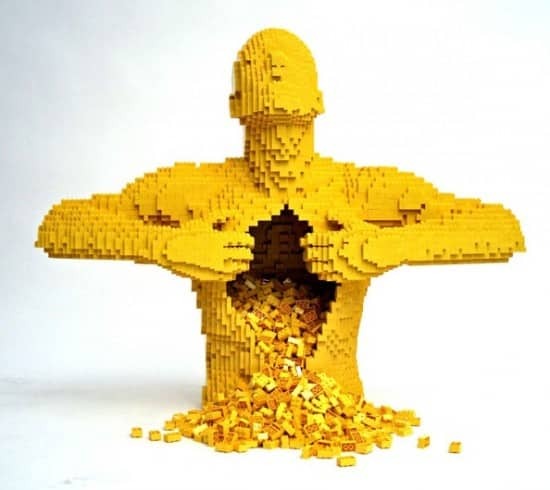 But the Lego creations of New York-based artist Nathan Sawaya are so eye-poppingly spectacular and spectacularly eye-popping they deserve to have some light shone upon their countless interconnected bricks.